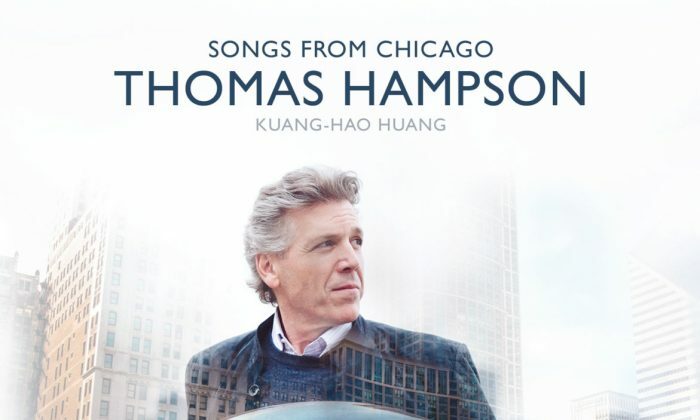 The best of new albums recently released by classical singers is Thomas Hampson’s “Songs from Chicago,” on Cedille Records, an unusual label that records only Chicago composers. Hampson is America’s leading baritone and is not only a star of opera but also a dedicated singer and scholar of art songs. Here, with Kuang-Hao Huang on piano, he performs songs by five composers of the early 20th century associated with the city of Chicago: Ernst Bacon, Florence Price, John Alden Carpenter, Margaret Bonds, and Louis Campbell-Tipton. The Hughes pieces are particularly interesting because the music was written by three African American composers who are largely forgotten: John Alden Carpenter (1876-1951), Florence Price (1888-1953), and Margaret Bonds (1913-1972). Price and Bonds were, respectively, teacher and student. Bonds is from Chicago but later moved to New York where she became friends with Langston Hughes. Price was the first African-American woman to have an orchestral piece (Symphony in E Minor) played by a major orchestra (the Chicago Symphony Orchestra). Bonds was soloist in Price’s Piano Concerto, making her the first African-American woman to perform as soloist with a major orchestra. As always, Hampson’s singing is beautiful and his enunciation flawless. His liner notes are a bit defensive about a Caucasian male performing songs by black poets and composers. He needn’t be since, as he points out, we are all part of America’s mosaic. It is particularly valuable that he sheds light on black composers whose work should be revived.